As you have probably discovered, home buyers engage in comparison shopping. We know how important it is for you to find the right buyer for your property. Selling your home for the right price at the right time, I'm sure, is your goal. We would like to expose your home to more than a million visitors a month. I invite you to place your home on ColdwellBankerHomes.com with our other exclusively listed properties. 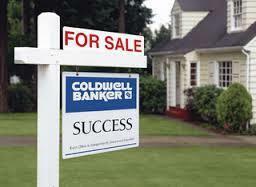 We would also like to offer you a free COLDWELL BANKER Competitive Market Analysis. It will show you the average sale prices in your area to help you assess what buyers are willing to pay. 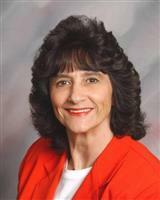 It would be my pleasure to use my knowledge of the local area and marketing to help you to sell your home. I would appreciate the opportunity to be of service!! Note: A Competitive Market Analysis is not an appraisal. If your property is currently listed with a real estate broker, please disregard. It is not our intention to solicit the offerings of other real estate brokers. (c) 2018 Coldwell Banker Real Estate Corporation. Coldwell Banker is a registered trademark of the Coldwell Banker Corporation. An Equal Opportunity Company. Equal Housing Opportunity. Each office is Independently Owned And Operated.